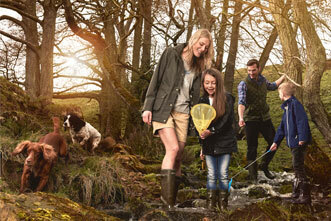 Barbour Life celebrates people who live a Barbour Way of Life, and have an authentic link to our beloved brand. 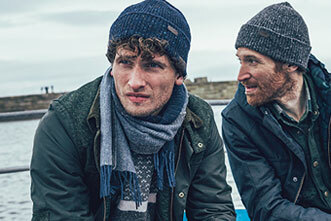 To celebrate 125 year of Barbour heritage, we are retelling your Barbour stories. 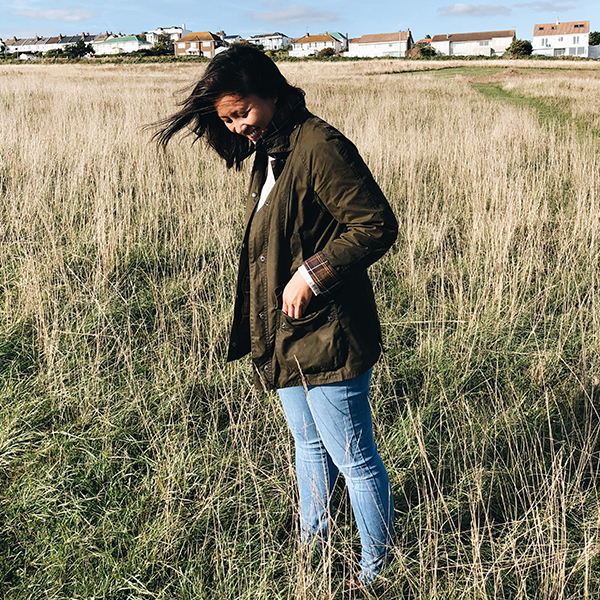 Discover below some of the most heart-warming, exciting and unusual stories you have been telling us for years and find out how you can submit your own so we can retell your Barbour story. It's a love that started 20 years ago, when I was about 8 years old. It is the memory of my grandmother, who spent an evening waxing my cousin's jacket. I knew from this moment I wanted to wear a jacket with that scent. From that moment on, it was my dream to own a Barbour jacket. 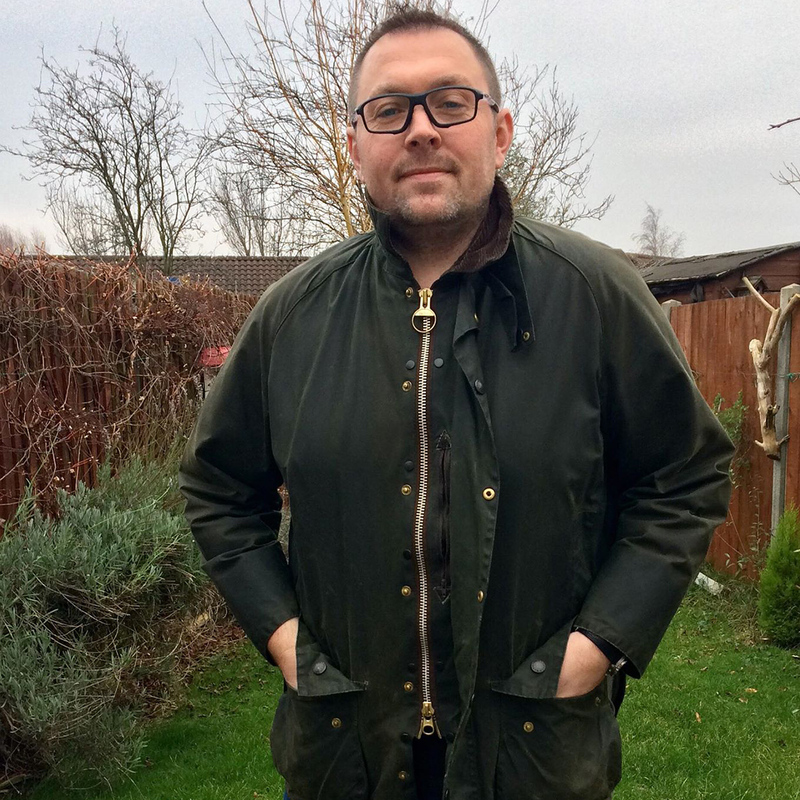 Having a Barbour jacket is like having an old trusty friend in my wardrobe. Something you can always throw on and it will always keep you dry. The best part is that you can always send it back for aftercare when it gets beaten up and the jacket can be always brought back to life. 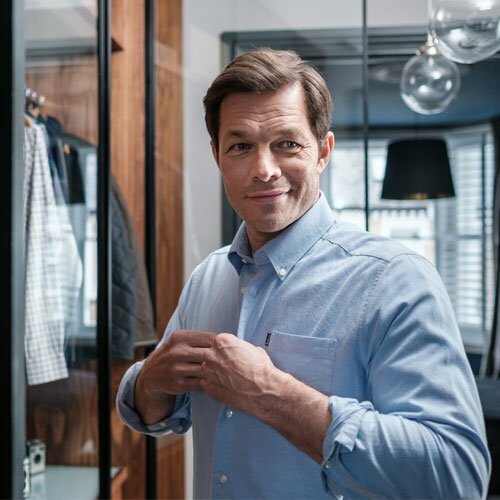 Thank you Barbour for being such a genuine brand with such values and integrity and I congratulate Barbour for your 125 years anniversary! 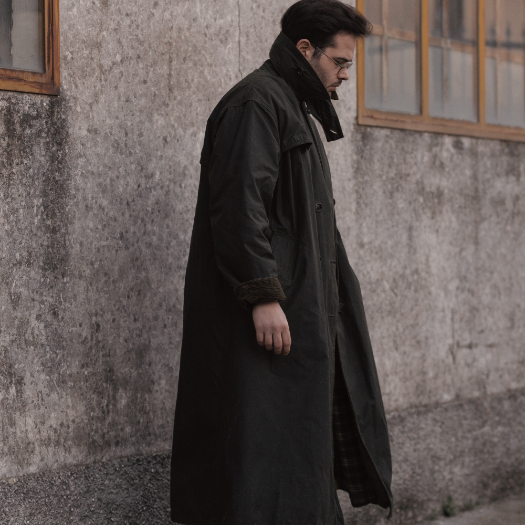 Here I am in Pyongyang, North Korea wearing my favourite Barbour jacket. 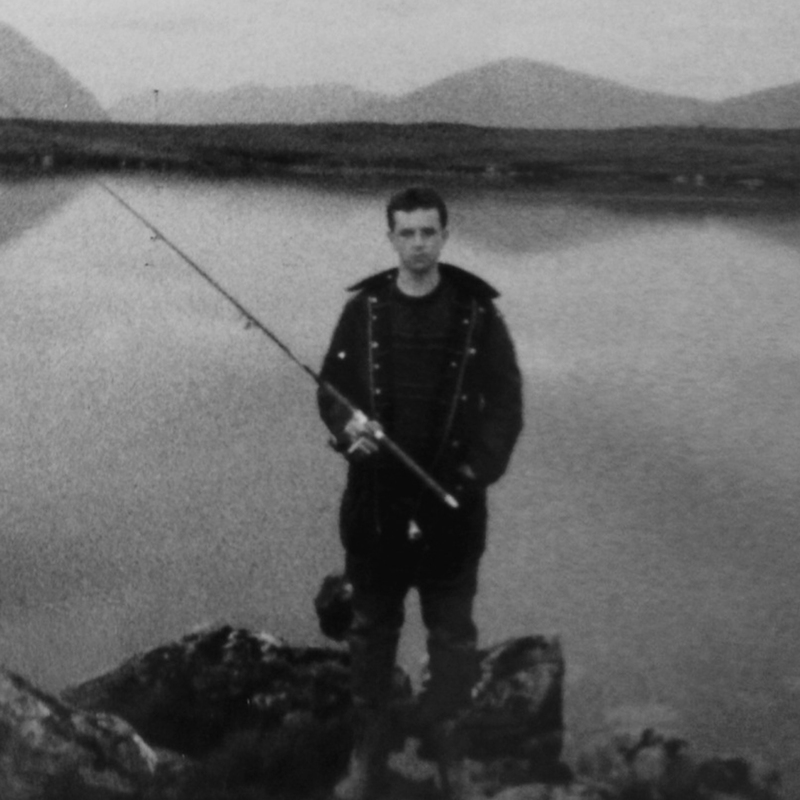 My Barbour story began in preparation for my first Salmon fishing trip to the River Annan around 1983. Grandad Jack held his old yellow tag Solway zipper in his had and said to my Grandma " can you make it fit him." My Grandma tailored the arms to fit but it was still on the large side! I still felt the part on the Annan that day. That Christmas it was decided that a Barbour Bedale would be my first Barbour. My Grandad paid instalments every week in a tackle shop in Clitheroe until Christmas arrived and I became the proud owner. Even at 10 years old I could tell the coat was a quality product. From that day I have always owned Barbour plus passed the advice of quality and endurance to my Wife, Children and Springer Spaniel. 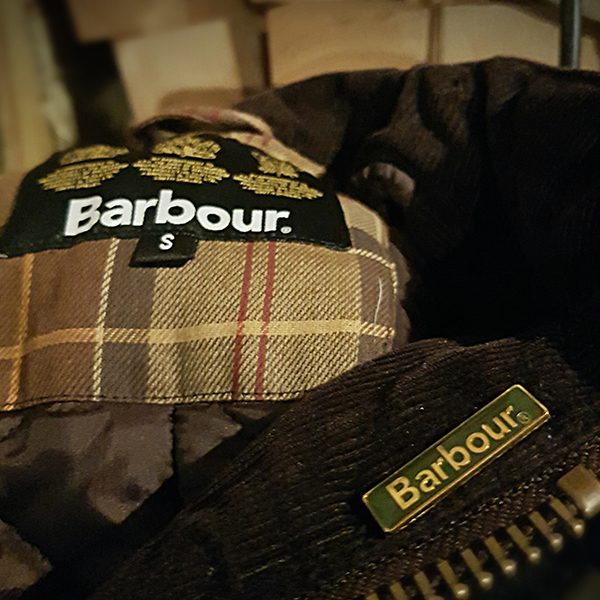 At 42 years old I would like to thank Barbour for being part of my life a name which is worn with true pride. Happy Birthday Barbour! Growing up in Southern Vermont, Barbour jackets were a staple in my families wardrobe. 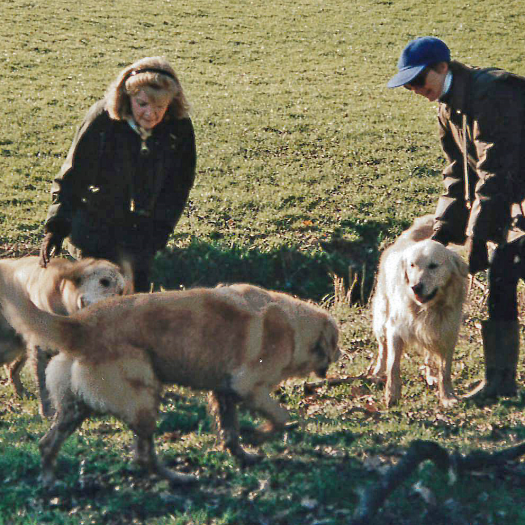 Living on a farm with many family pets meant we were running around outside all year long, thankfully our Barbour jackets always kept us warm, dry and cozy. 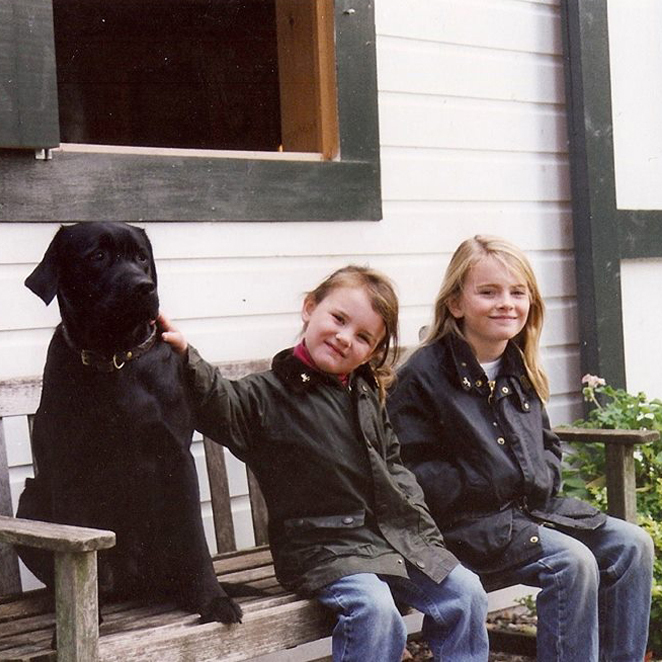 (From the left is our family black lab Lexington, myself and my older sister Piper Ferrone taken in 1999). I own 6 motorbikes but this one is a little bit different and draws a lot of attention wherever it goes. I bought it originally for spares only for the rebuilding of other bikes but then decided to make it into something I've never seen before and the Barbour bike was born. 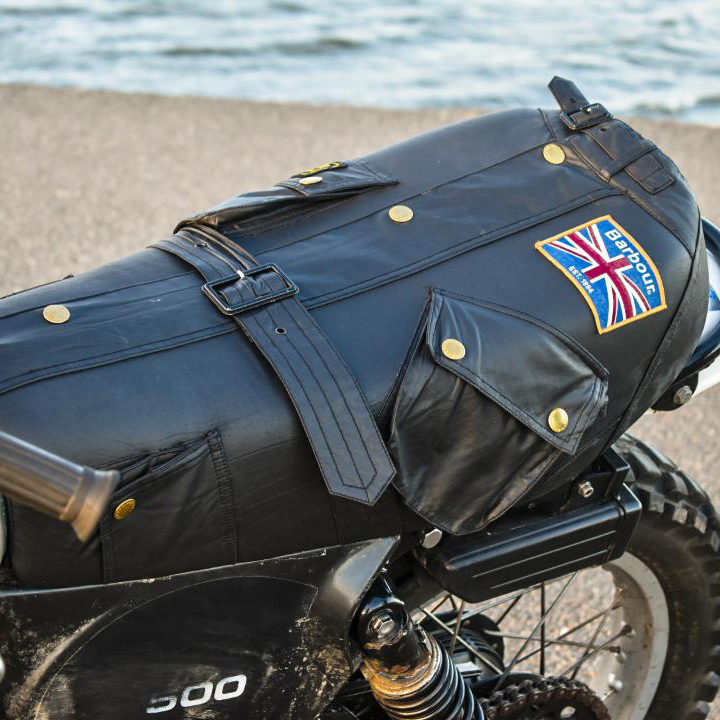 As I had a spare Barbour International jacket, I decided to recover the seat using this jacket My passion for motorbikes started roughly about the same time as my love for the Barbour. 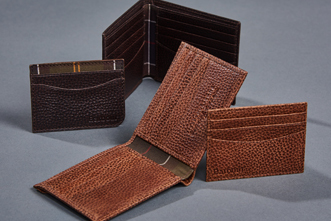 At the age of 13 I purchased my first Beaufort from Bainbridge’s (now John Lewis) in Newcastle. They originally didn't have my size so kindly ordered it in. I was so excited and waited patiently for the phone call (long before mobiles) to say it was in stock. I still have the jacket although it has seen better days but will never part with it. It may in the future become another bike seat cover! I have always loved Barbour and own lot of their jackets. I recently needed to get the back seat of my motorcycle reupholstered, which is normally done in leather. But instead, I had the idea to buy an old Barbour jacket and used that for the back seat. 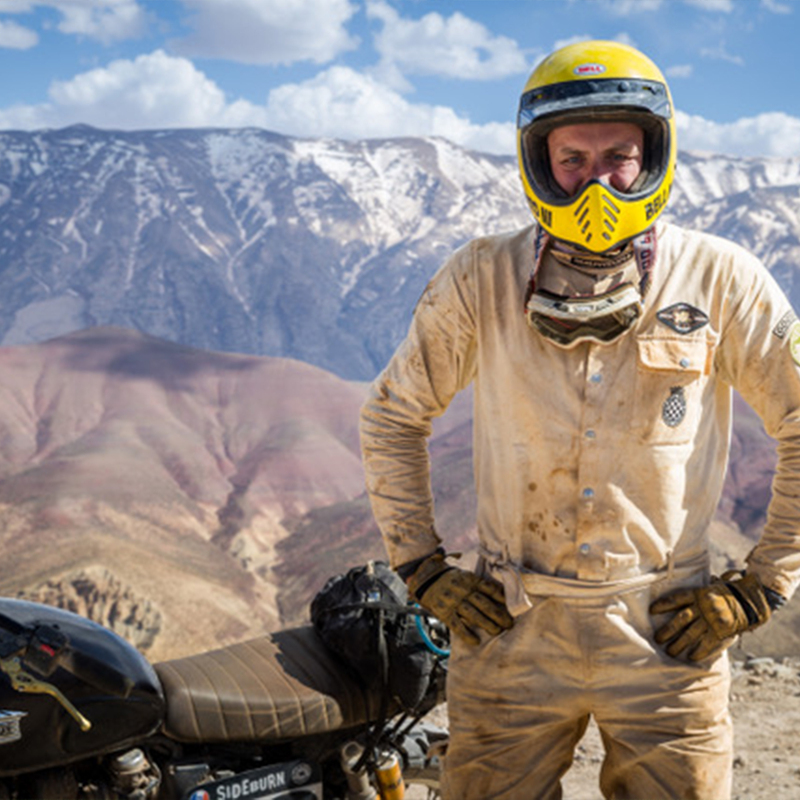 I took my bike (with this seat to many places), like the desert for a vintage rally. As a keen trout fisherman I had always coveted a Barbour jacket and so after much deliberation I headed off to Alex Martinʼs & Sons in Exchange Square in Glasgow. I knew I should have kept my accumulated earnings to help see me through my first year at university, but at 19, where was the fun in that? It was the autumn of 1989 and as the weather turned cold I decided on a Barbour Northumberland. My older brother had owned a Gamefair for a few years and much as I liked it I desperately wanted to go one better, and the heavier and longer Northumberland fitted the bill perfectly. The Northumberland has provided me with years of service while trout fishing in Argyll but as life moved on and my own kids came along my beloved jacket and fishing tackle found a home in our loft. 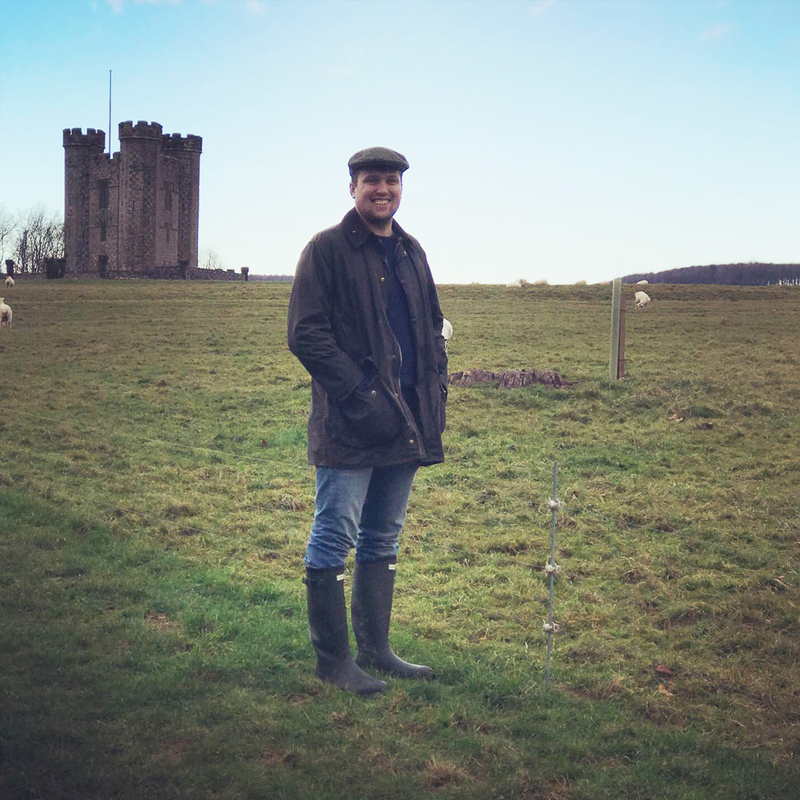 Last year however we completed our family with a beautiful golden Labrador and I reacquainted myself with my Barbour jacket and found it ideal for walking with our new dog. The pockets that once held fly boxes and spools of line are now filled with poo bags, dog whistle and handfuls of dog treats. 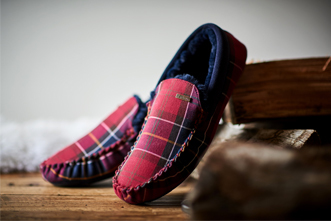 The Northumberland is almost 30 years old but as functional and comfortable as ever. It only seemed fair to get our dog Bailey a Barbour also! 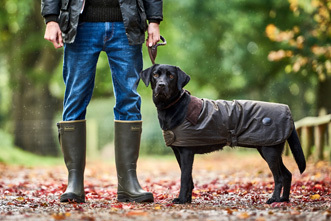 My Barbour story started last year when I was lucky enough to get an Ashby for my birthday. As soon as I put it on it took me back to when I was a child and my grandad. Memories that I hadn’t thought about for years. The smell of his Barbour hanging in the hallway , the smell of gun oil on my hands when he let me help him clean his guns. I lost him far to soon in 1988. But every time I put my Barbour on it takes me right back. Not only do I have a quality coat that keeps me warm and dry , it also make me smile and remember my grandad every time I put it on. The slightly waxy feel and reassuring touch of a Barbour jacket has been in my memory since I was single digit in age. As a family in the late 80s me, my mum and dad, all went to Grahams of Inverness and had a new Barbour jacket, me just about 7 or 8 at the time. 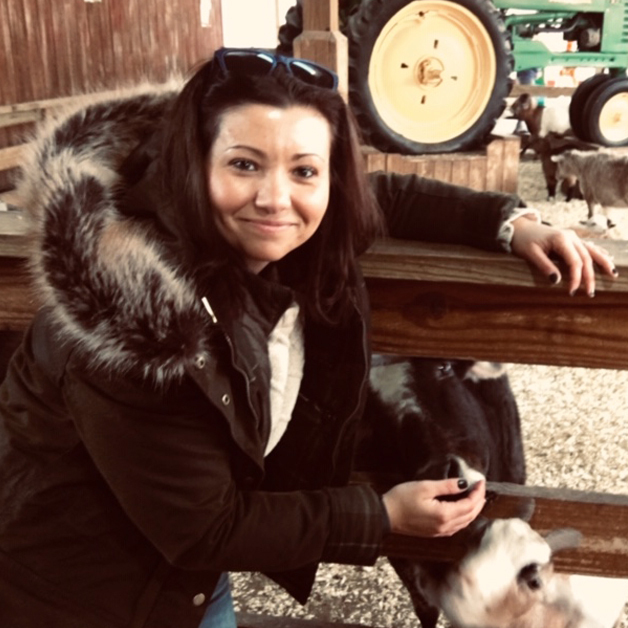 I grew up wearing a wax jacket, learning how to ride and care for horses, walking with my parents in the countryside, being sure to have it at music festivals. When I was given a leaving gift from an estate I was working at they gave me vouchers to get a new Barbour, knowing mine was decades old. I went and modernised my jacket and got the one I still wear today. Just last week I paired it with a dress and heels to meet clients in London! It's a good job I sent it off at the end of last winter for a clean and rewax! I remember the first time I ever saw a Barbour. I walked into a small boutique downtown and saw the jacket hanging at the end of the coat rack. What caught my eye was the beautiful tartan lining and corduroy collar. I looked at the tag and I remember thinking how simply lovely the name Barbour sounded. I put the Barbour on and stood in front of the mirror. It was a match made in Heaven. I knew right then and there that I had to have a Barbour. But sadly, at the time, I was a student saving money for college. However, from then on, I vowed to own one. After a couple years of diligently putting away towards my Barbour fund, I can now say I am part of the Barbour family. Four years ago, I came across my first Barbour. And now, I can’t even imagine how I ever lived without one. 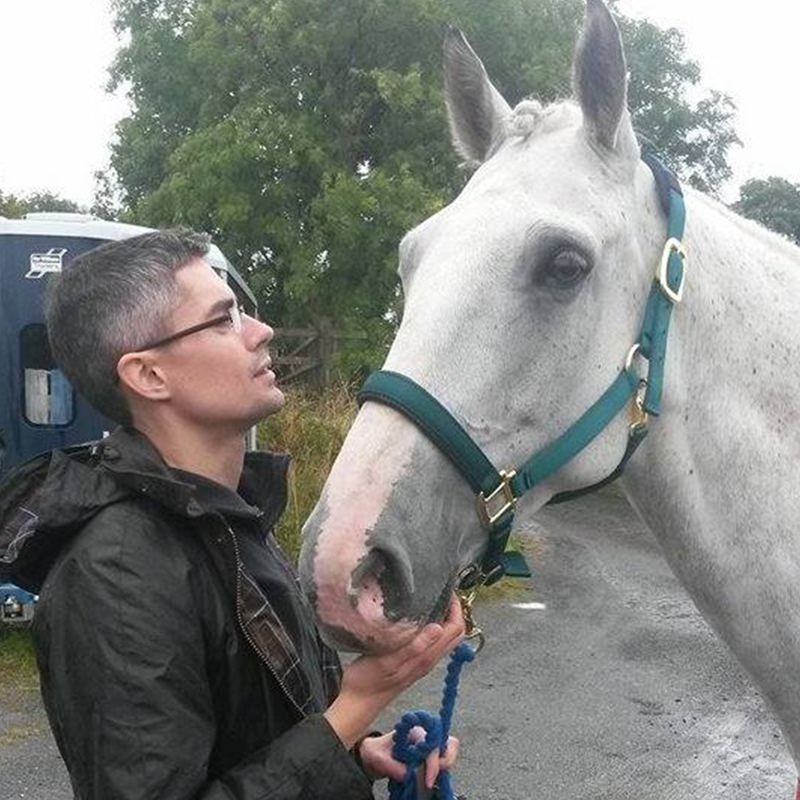 My Barbour and me....a simple love story really. 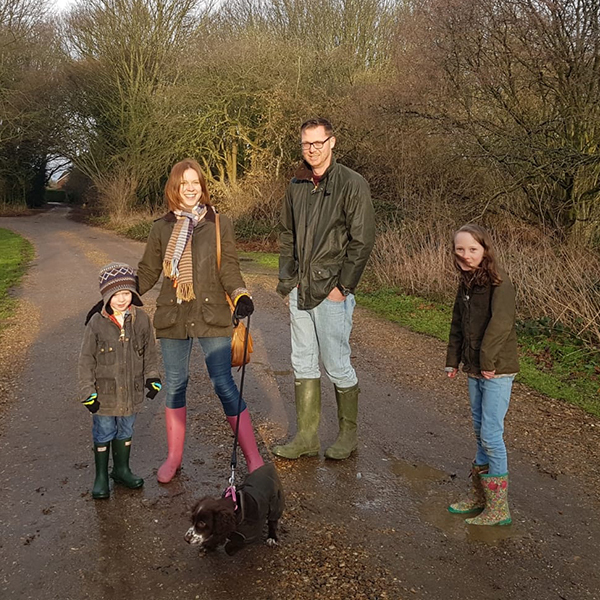 My husband introduced myself and two children to Barbour a number of years ago. we soon found the" Barbour way of life" and now currently own nine Barbour jackets between us including our Sprocker puppy who owns two. 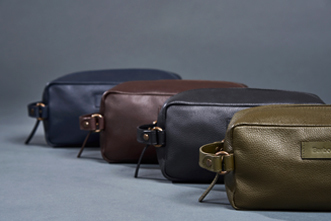 We never leave the house without one to complete our style. 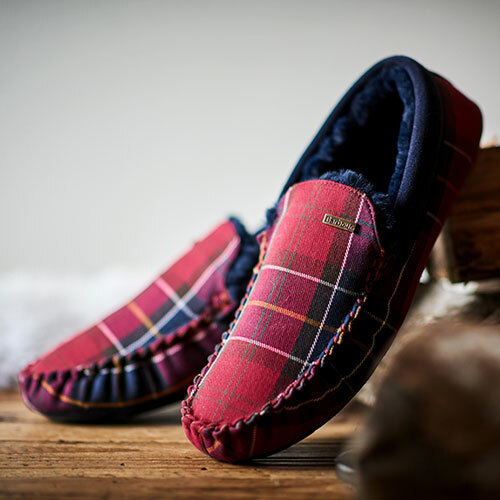 My family has trusted Barbour products for three generations since my grandparents first came to America from Europe in the early 1930’s. 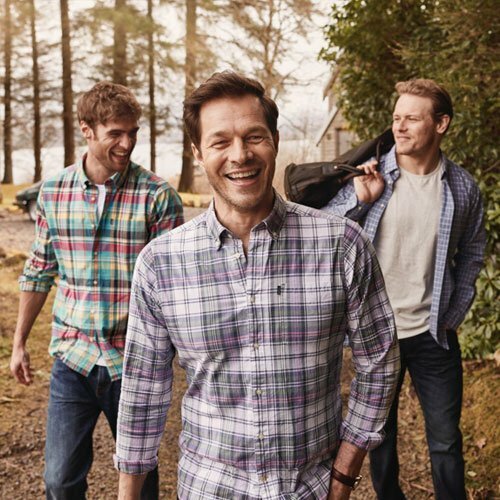 As a family who for three generations has worked outdoors we’ve relied on the quality and integrity of Barbour’s products. 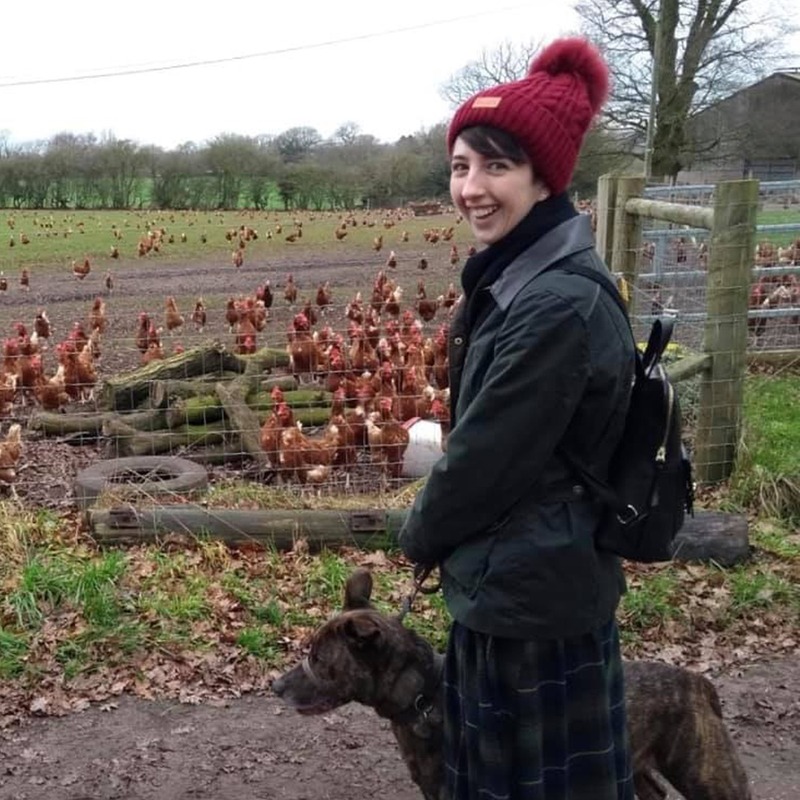 Today, I work in an office full time for a non-profit helping to manage a 88-acre wetlands preserve; every chance I get I’m outside wearing my Barbour jacket, either hiking, combing the beach for shells, working in my families garden, or spending time with animals. 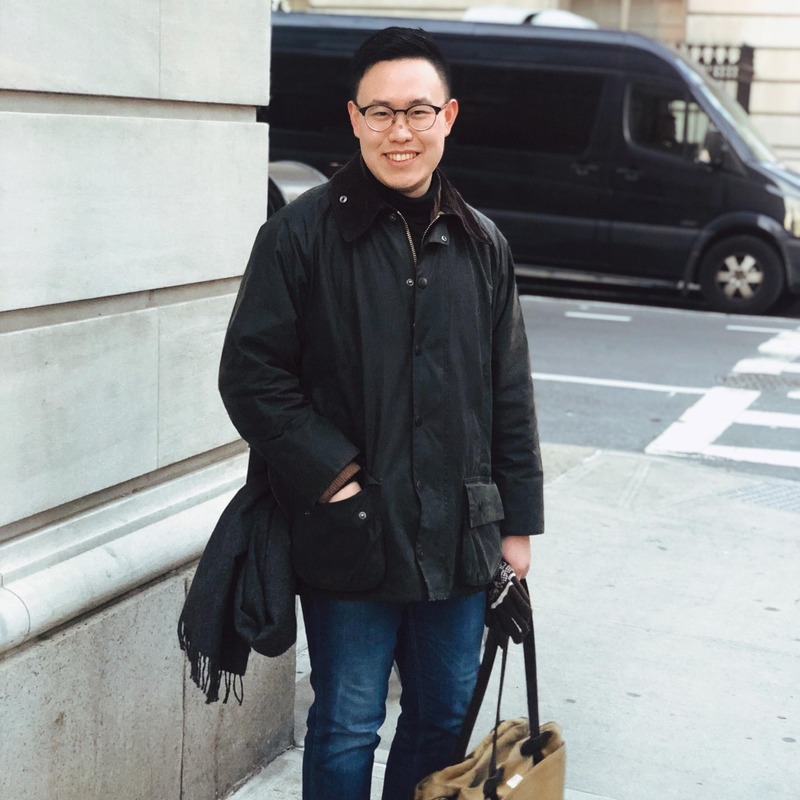 With the winter being particularly bitter at times in New York where I live, I’ve been wearing my Barbour Dartford Wax coat. This Christmas I even received a can of thorn proof dressing in my stocking so I can properly take care of my Barbour coats! My Grandad bought his Border jacket way back before I was born. 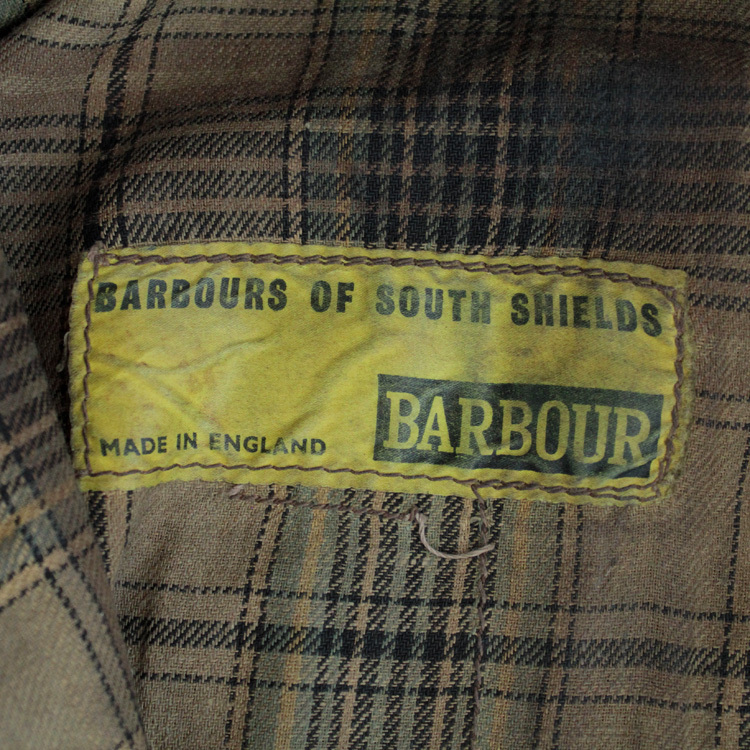 I’d never really heard of Barbour but I always knew Grandads outdoors jacket. If he was in the garden, out for a walk or out on the estate he’d always be in his Barbour and cap. Once I was old enough and could fit into it he passed it on to me as he didn’t wear it out enough anymore. My first proper hand me down. I adore it and wear it whenever I’m out with the dog or out walking, whether it’s the beach or country hills. I’ll always keep it in good nick but they always look better in that used state. It’s now one of my favourite brands. 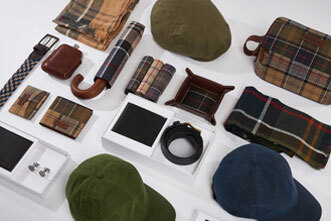 If family don’t know what to get me for a present I just say “anything Barbour”. Once I’m older I may hand it down to my son. Maybe. 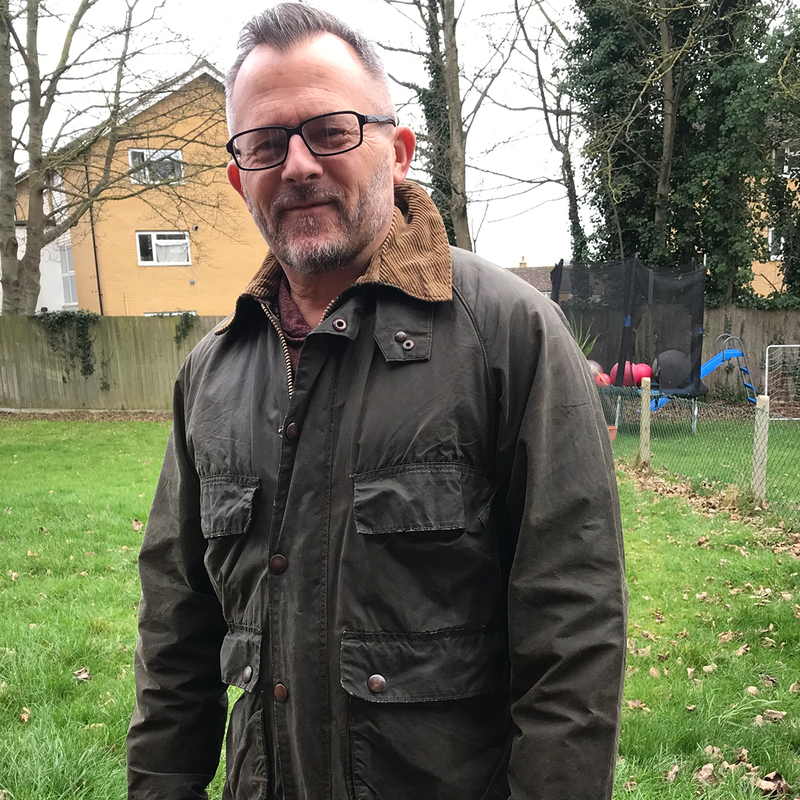 My dad bought me my Barbour jacket when I was 15 for course fishing in, I’m 51 now and the jacket is still going strong. I’ve just received my jacket back from Barbour after a rewax. I've been intrigued by Barbour jackets for a number of years now. 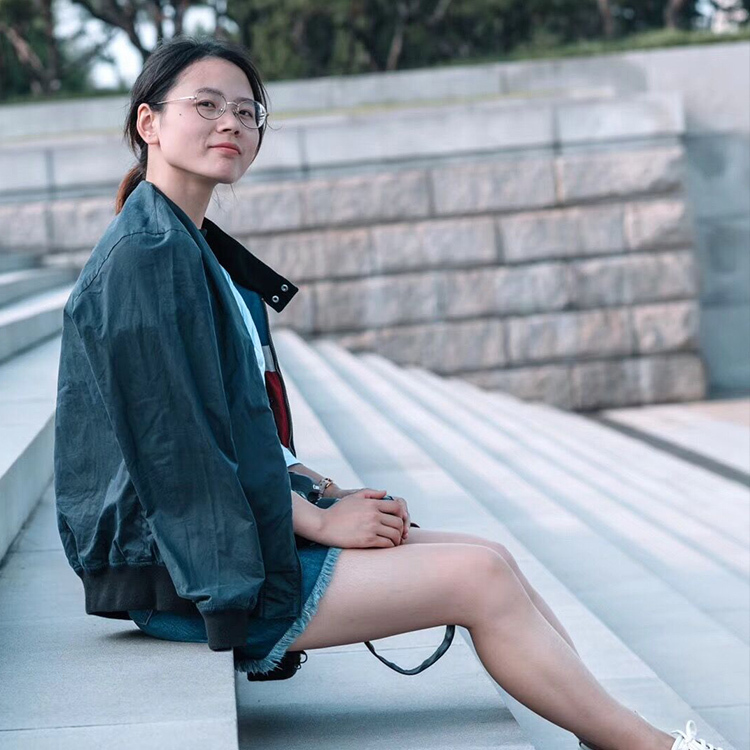 They fit perfectly in so many different situations: in the countryside or the city, with casual wear or with tailoring, it always looks great. But my girlfriend told me I could only get one once we moved to the countryside, so the plans to buy one had to stay alive in my mind. When we went on holiday to Scotland last September, I dragged her to the Barbour store in Edinburgh to try one on. That turned out to be the best way to convince her that a Barbour jacket also looks great in town. So finally, after debating which type of jacket to get, I recently purchased an SL Bedale. I couldn't be happier! One of the Barbour jackets I own is a vintage Gamefair Barbour that was handed down to me from my mum. She has had it since the 80's (before I was born) and it's still in great condition. 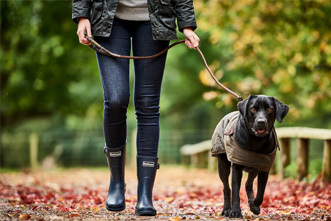 I love wearing it on walks in the countryside, especially with the fleece lined pockets to keep my hands warm! Whilst growing up I remember my dad's jacket, a Barbour Bedale four pocket and every year he would re -wax it in the kitchen and the smell would stay around for days. 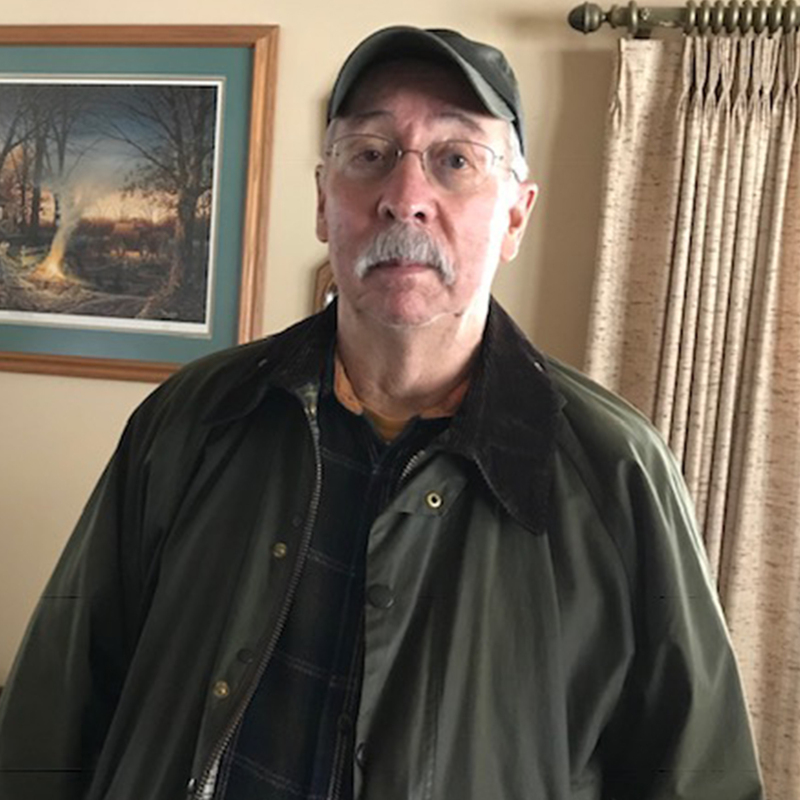 My dad is now in his 70's and he still has that jacket and it looks as good as I remember as a child. 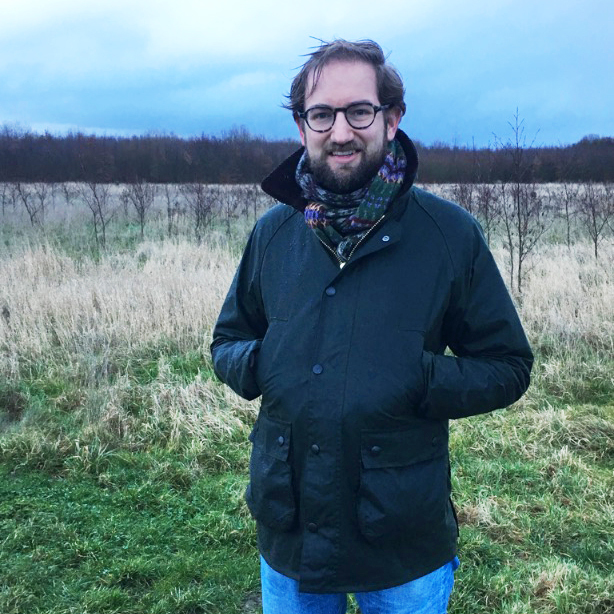 I now also have my own Barbour Beaufort jacket and I love it just the same. 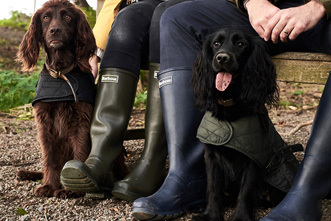 I get together with my Dad and we walk the dogs in our jackets, swap ideas and tricks that keep our jackets looking good and talk about which styles of Barbour we like the best. My dad even jokes about passing his jacket on to me eventually, when he is finished with it. 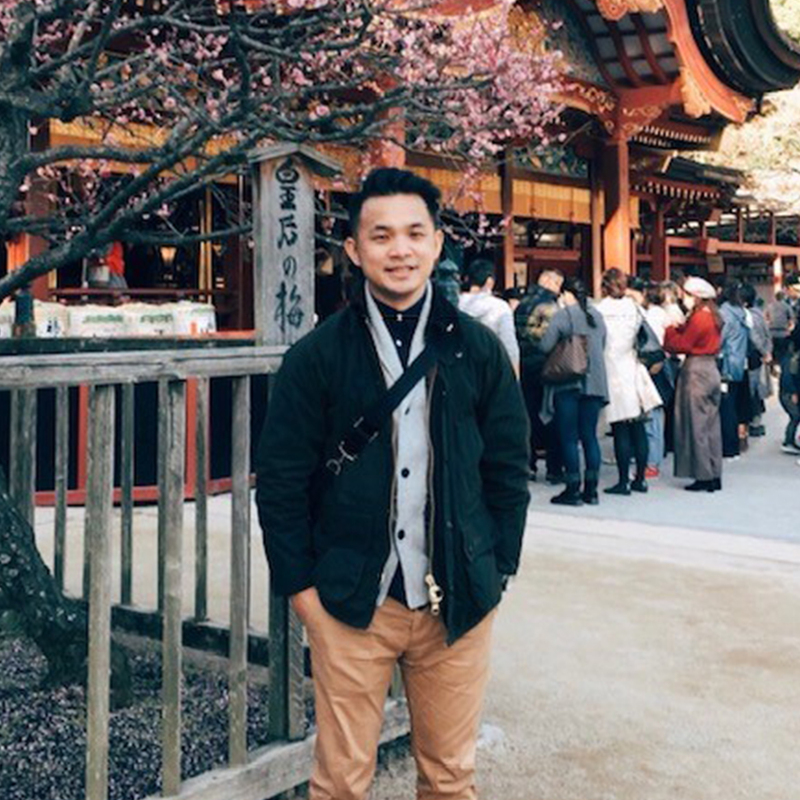 Back in Japan my Grandpa would always be in a Barbour jacket for the harsh winters. Inspired by my Grandpa, I now have my own Barbour jacket. I live in London, England and I wear mine all year round and it never leaves my side. 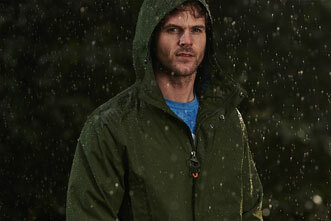 I first discovered the Barbour Beaufort while perusing an outdoors clothing company catalogue. I had never hear of Barbour, but I instantly fell in love with the jacket. At the time the Beaufort was way out of my budget so I forgot about it. Fast forward 25 years and I rekindled my desire to own a Beaufort. There was a gentleman's clothier in a city about 75 miles from my home. While returning from a trip, we stopped in the city and went to the clothing store. At the time I opted for the Lightweight Beaufort. It was quite nice and was a great rain coat. I still wanted the original Beaufort waxed jacket. A few years later I returned to the clothing store and the salesman reassured me that the waxed Beaufort was the jacket to purchase, he said,"the Queen of England wears one!" I purchased one, and a year or so later I purchased a Bedale which my wife instantly took possession of. 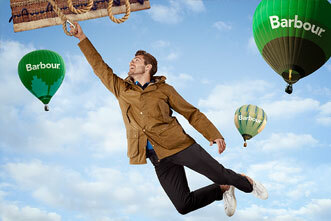 We really enjoy our 'Barbours' and other Barbour products. I am a Barbour fan for life! 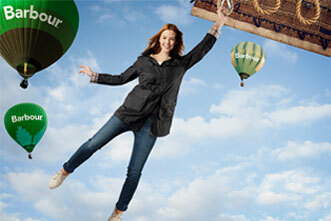 I bought my Olive Barbour Ashby Jacket 5 years ago and wonder how I ever managed without it! 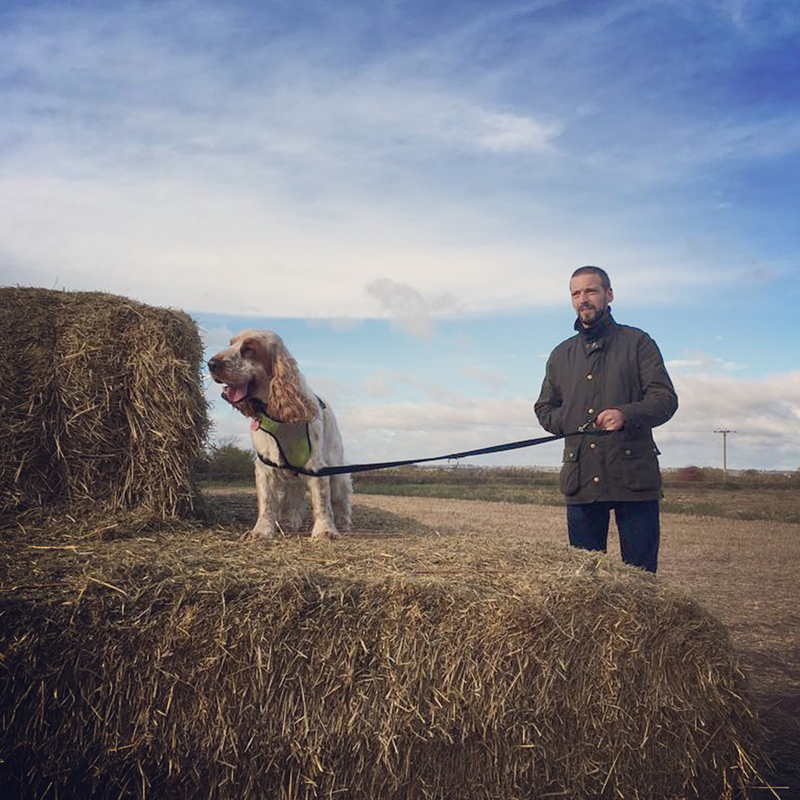 Whether I'm exploring the capital, walking our Springer Spaniel, Archie or taking my horse, Oscar to competitions (see photo) my Barbour is my number one, go-to coat. It has never let me down and it just improves with age. Here's to the next 125 years! 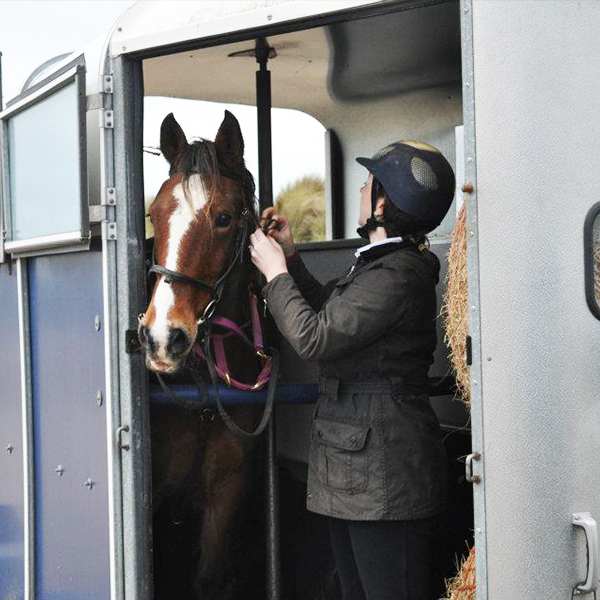 Here is a picture of my son Hélie, on his horse Wellington, an English thoroughbred, with his favourite Barbour. 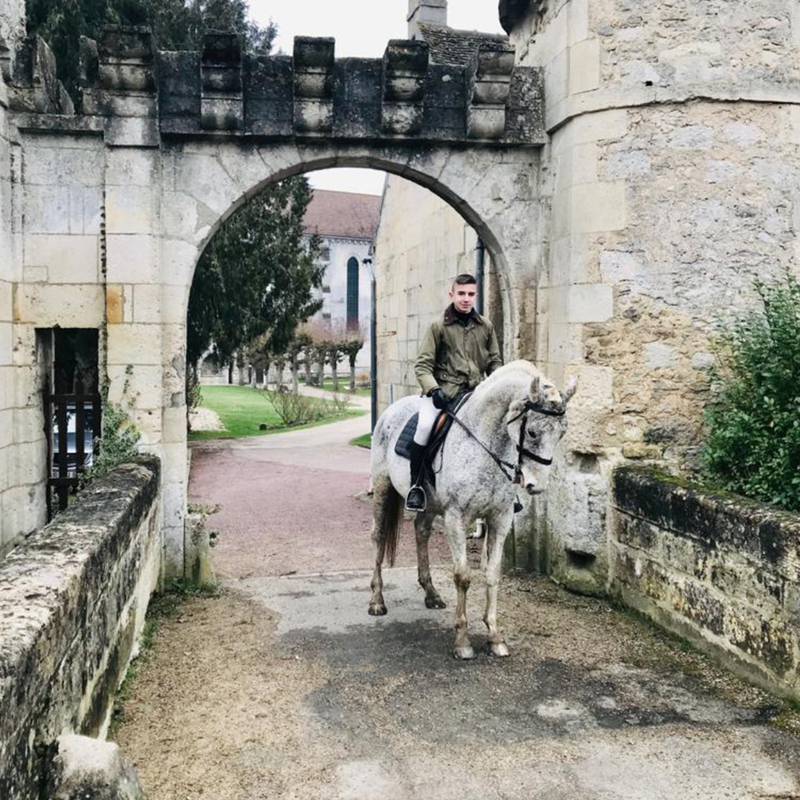 Pictured in Saint Jean aux Bois, Picardy, France. Oliver in his Barbour Coat. 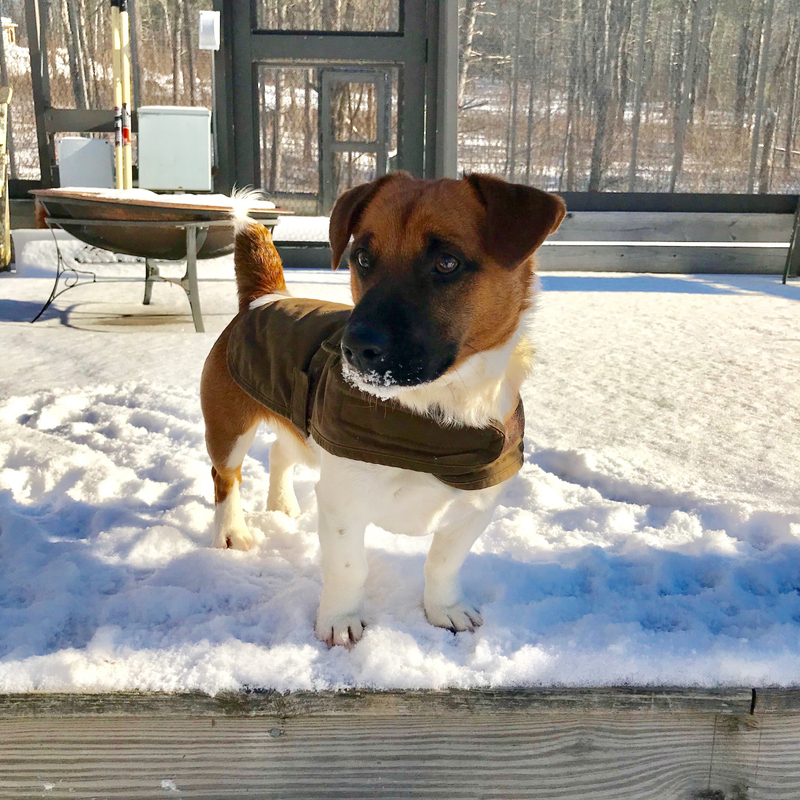 Ready for the snowy weather! I’ve had several Barbour wax jackets! I bought my favourite one in London, 1990. I’ve had so many adventures in this jacket, travelling around the UK and Italy. 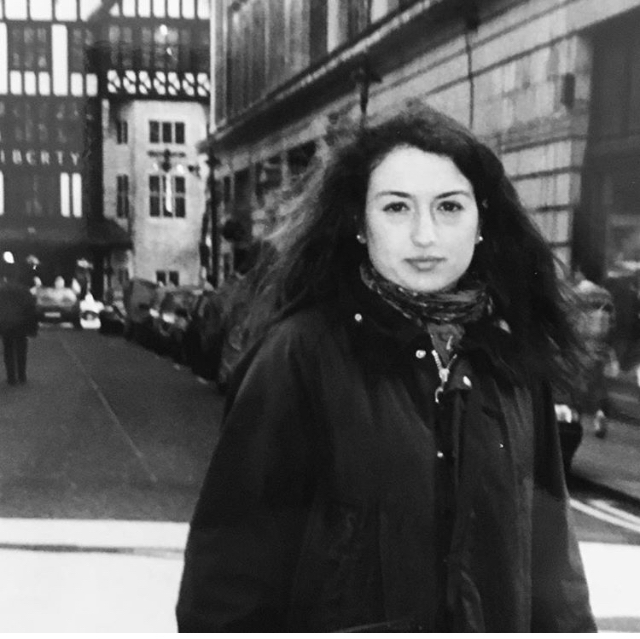 This photo was taken near Liberty in London on April 1996. For the past 10 years I have been wearing Barbour waxed jackets. 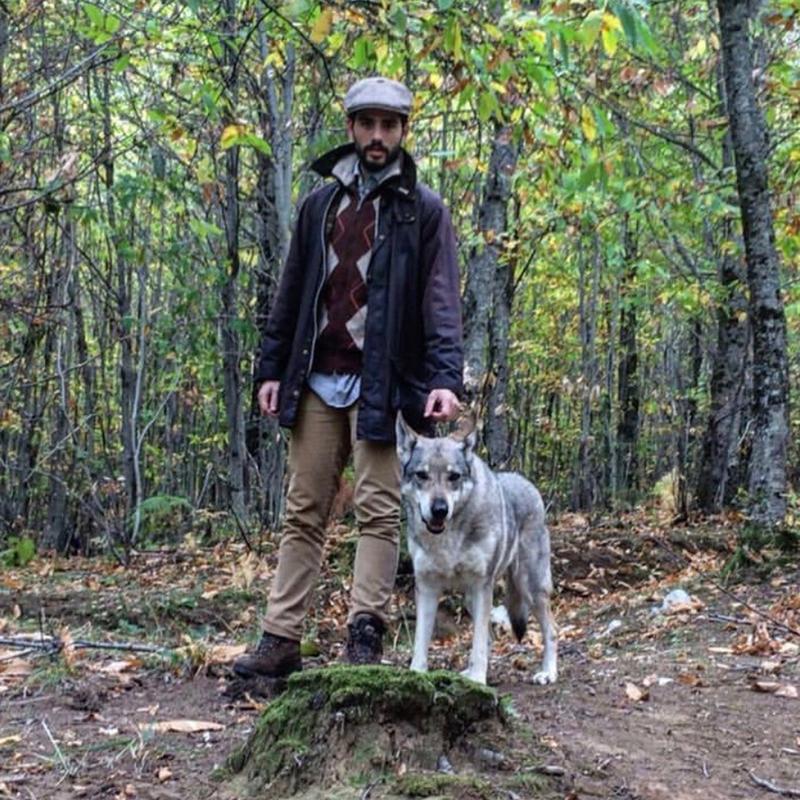 I have been on many adventures with my dog Salvador; from Italy to England, USA and Canada-crossing many rivers and valleys. I will forever have a connection to Barbour. I went to Longleat with my boyfriend to see the Christmas lights and he was wearing his Barbour and I had to borrow his mums as I left mine at home! Here in my favourite jacket, as you can see. I do not want to replace it as it has served me well in the far North and far South and places in-between. This last trek was to Isla Noir in Southern Chile, an off shore island in the Pacific. It rains most the time yet this jacket was all I needed. 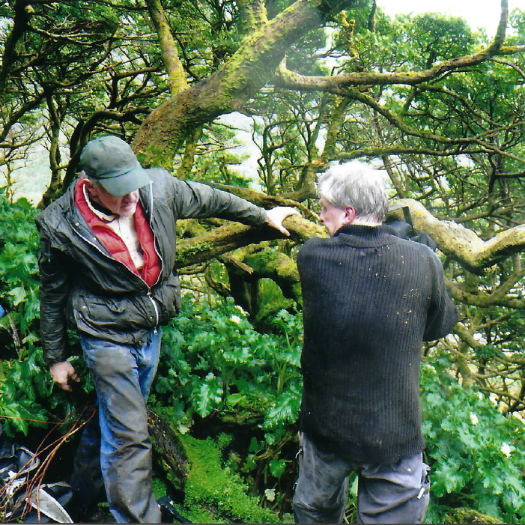 This photo shows us installing a camera trap in the Rockhappen Penguin area high on the island, as part of the ongoing ecological study of these birds. 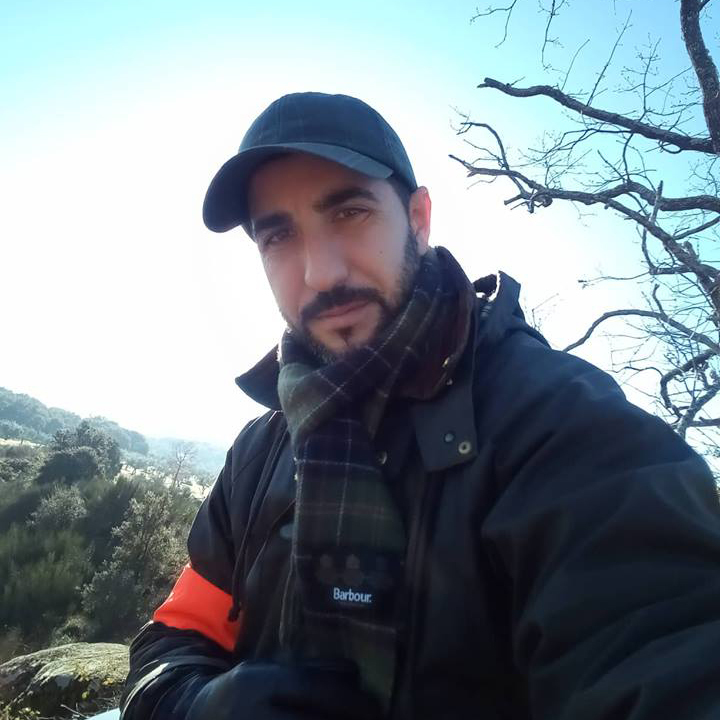 Hello, I am Portuguese, my whole life I had the dream of having a Barbour coat, to accompany me during the coldest days in the practice of my favorite sport... hunting! In Portugal your coats are very, very expensive and I can't afford them !!! A few years ago my sister had to emigrate to England to work, and one day when she returned from a Christmas holiday to Portugal she brought me a Barbour coat and a scarf as a gift! It was a dream come true! 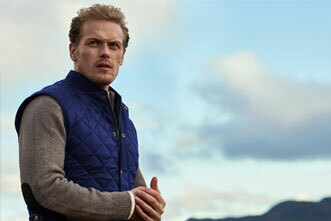 I have several Barbour products which I adore, of which include; a waxed jacket from your collaboration with Sam Heughan, Barbour tartan scarves and gloves and also shirts. 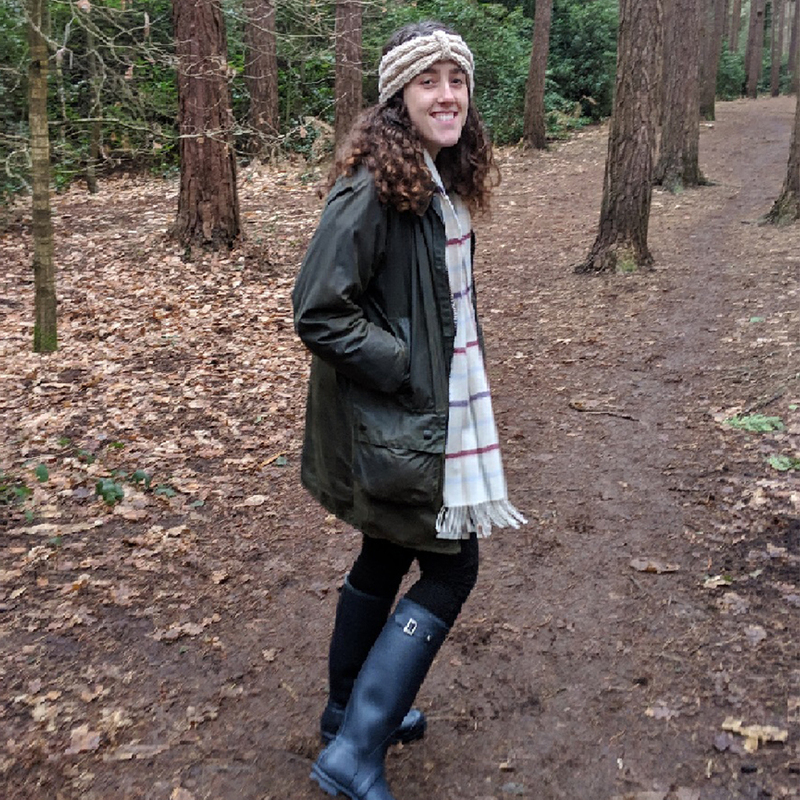 I really enjoy exploring the countryside whilst wearing your clothing knowing I am shielded from the elements, I couldn't imagine go out walking/hiking without them! When I was younger, about 10 years old, my parents bought me my first Barbour wax jacket. I wore it everywhere, however, it was stolen from the back of my chair at Chatsworth Country Show when I left it unattended. Even though I was very upset my parents refused to buy me another. Skip forward 23 years, I used my first pay check from my new job to buy myself a Barbour Jacket, Classic Beaufort. I literally wear it everywhere, even to the gym! Hopefully I can keep hold of this one for many years to come! I have lived in the South Devon countryside my whole life. Because of this I have been brought up with heritage and tradition being one of the most important things to remember in life. 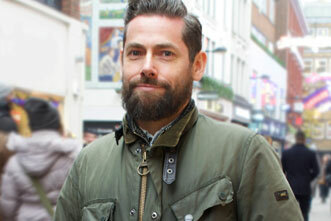 I have all ways aspired to get myself a Barbour jacket, so the hunt for the perfect jacket begun. Yet it wasn't too long until I realised no matter what, I still looked like that kid in his dad's suit. Jacket after jacket none of them fitted me. Then my wife and I were walking past a Barbour stall at Devon county show and she pulled out an olive wax cotton Barbour jacket and my eyes lit up. It fitted! It is my favourite jacket by far and will stay with me for many many years to come. You can definitely tell that the jacket was made with lots of passion and love. 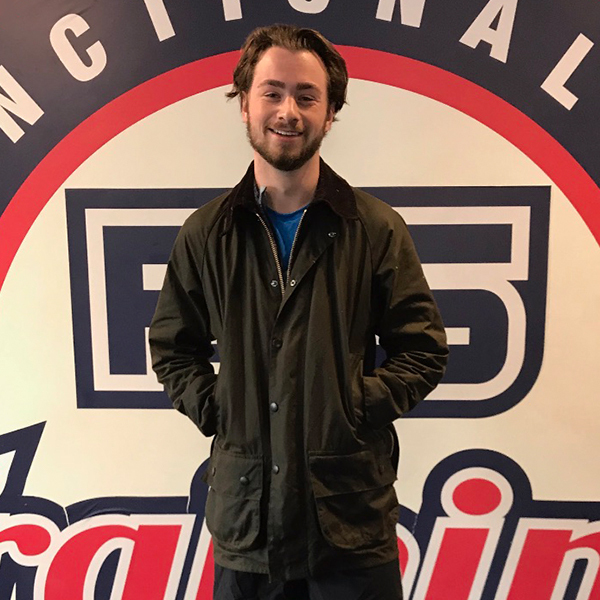 My story starts relatively recently, I only bought my first jacket about five years ago however I have now amassed a collection of six different jackets.My first purchase was a Barbour International Union Jack wax jacket and my most recent was the Corbridge Wax Jacket. 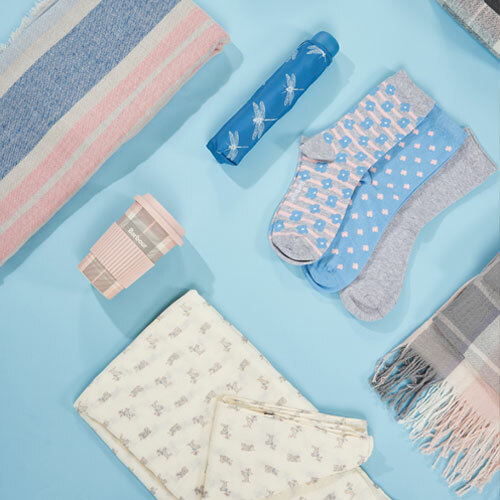 To say I'm now rather a fan of the brand would be an understatement, I've also have a couple of scarves, some wellies and a wax rucksack..... 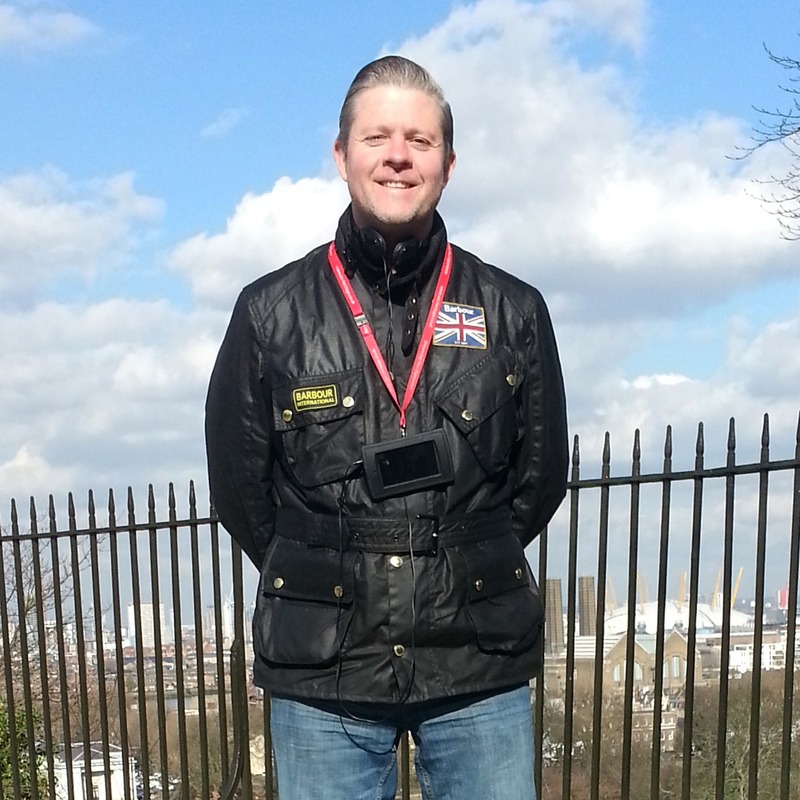 I've attached a picture of myself at the Greenwich Prime Meridian in that first jacket. 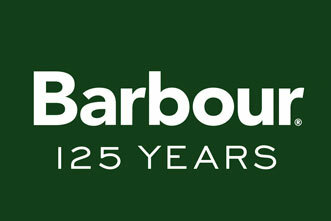 Happy 125th birthday Barbour ! 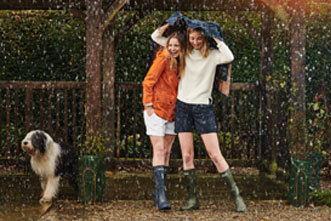 To celebrate this special anniversary, we are asking for customers to share their Barbour stories. 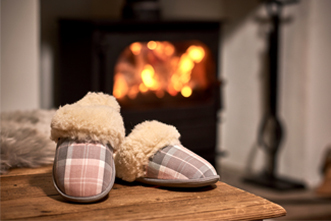 We love learning how our products become part of your lives and special moments. Tell us your Barbour stories for a chance to be features in our 125 celebrations and as a thank you we will send you one of our limited edition #Barbour125Years pin badges. Thank you for participating in our 125th year anniversary. By sharing your story you are consenting to the use of your story and images. Full terms and conditions.